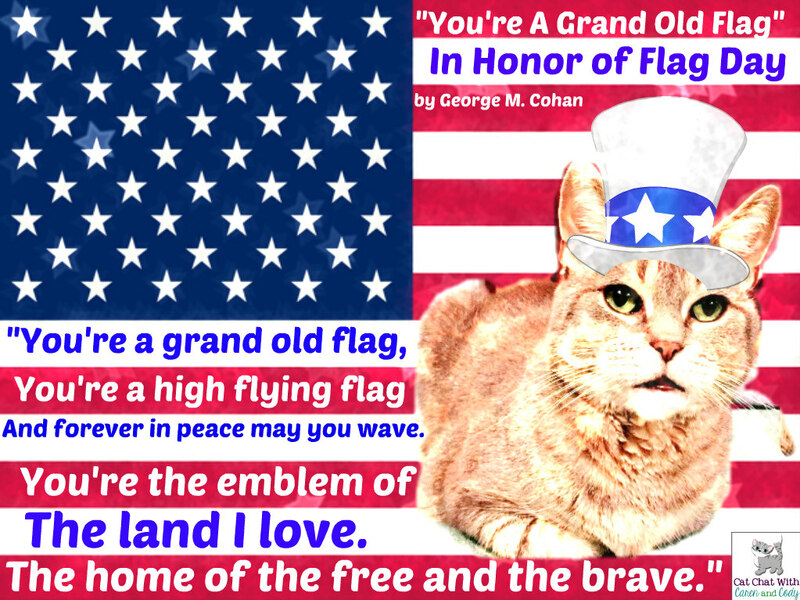 FROM CAT CHAT WITH CAREN AND CODY: Happy Flag Day! Hope you enjoy this "throwback" from 2016! I found this video on YouTube, the little girl can't carry much of a tune, but I got the BIGGEST kick out of watching her. I think she is just too adorable, BE SURE TO WATCH IT ALL THE WAY THROUGH...she is just too precious!!! She says "cut" a number of times, but the video isn't finished when she says that. If I had a little girl, I would want her to be just like this cutie!!! Oh and check out her KITTY shirt!! A wonderful tribute to our flag Cody! Happy Flag Day Cody. Don't want to start a controversy but she sounded like she was DISrespecting the flag. Even so I expected her to go all Robert De Niro at the end. MOL! Looking good Cody...hats suit you!! I did watch the video--bit of a long four minutes for me, but I think she did the best she could, and frankly, she didn't really have to sing anything about the flag if she didn't want to. I think it was fine. Oh, happy flag day! Happy Flag day. The kitty flag image and the little girl are great. Now I have John Philip Sousa songs in my head!